Call the HR Department, Melbourne’s premier queen of administration is heading around Australia and New Zealand with an all-new tour. Karen from Finance is heading Out of Office, bringing her one-woman journey of self discovery – and self-annihilation – around the country and to our neighbours in the east. 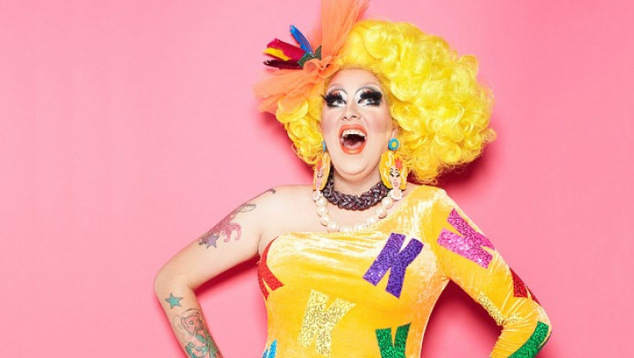 The Melbourne-based queen garnered international attention after being mentioned on Trixie Mattel and Katya’s web series UNHhhh, where the RuPaul’s Drag Race alumna praised the Aussie performer for her ingenious choice of name. Since then Karen has continued to work around Australia, as well as appearing in the US at DragCon and more. Karen’s debut solo show promises to feature her trademark high-camp, spoken word lip syncs, plus many more antics that are sure to shake up your water cooler conversation.